The articles themselves range from one paragraph to two pages in length. Where a woman or deity is named, a brief etymology is provided. 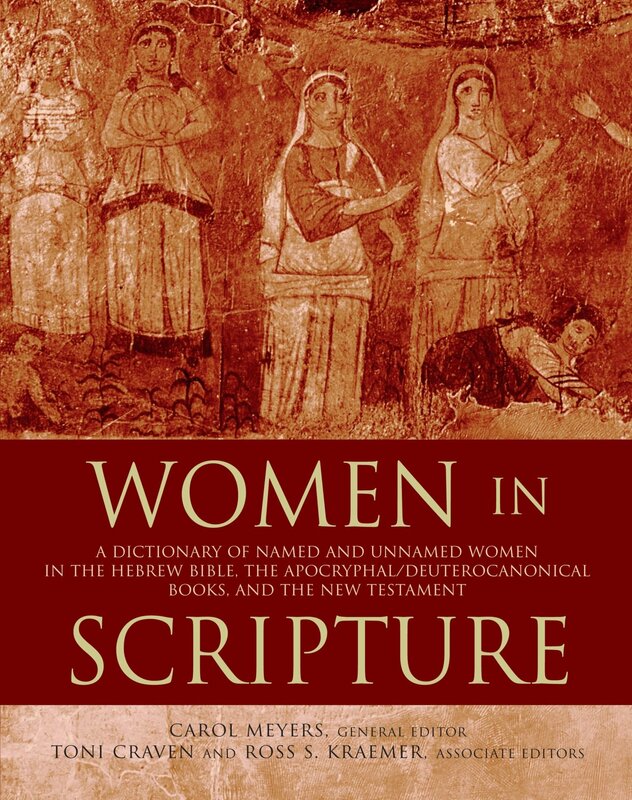 Their intention is generally to provide a utility for exegetical study, but this resource will prove invaluable to anyone who wants to learn more about the many female characters in the Bible. Often, extrabiblical texts are used to provide insight about the context of the person’s life. Almost every author includes a list of sources for additional reading with each article. Along with the individual articles, this work includes six introductory essays that could stand alone as a guide to reading the Bible. These essays, including “Critical Biblical Scholarship” and “The Hebrew Bible,” provide necessary background information for each chapter while also giving insight into the reasoning behind the text’s organization. While the scholarship of these texts is unquestioned, it does not consistently represent a typical evangelical understanding of the Bible. Authors are often quick to write off biblical characters as fictional without any conclusive evidence. The editors also made a strong effort to equally represent the Jewish, Catholic and Protestant worldviews. While this makes for difficult reading at times, it is almost always clear which worldview is being characterized. The scope and accessibility of this text, however, far outweigh this shortcoming. Clearly this is a necessary addition to every Christian’s library. This wealth of information promotes both biblical equality and understanding without exception. Jochebed, wife of Amram and mother of Moses, Aaron, and Miriam, is mentioned by name only in Exod 6:20 and Num 26:59, both genealogical listings. The narrative in Exodus 2 about Moses’ birth introduces her, without providing her name, as a member of the priestly tribe Levi; she marries a Levitical man, also unnamed here. The mother, in defiance of the Pharaoh’s order that every male Hebrew child be killed, hides her newborn son for three months and then places him in a basket in the Nile. Pharaoh’s daughter (also unnamed) finds the child and accepts the offer of Moses’ sister Miriam, who witnesses the rescue of her brother, to find a Hebrew woman as a wet nurse for the infant. The narrative cleverly places Jochebed as the caregiver for her own son. The genealogical information about his mother, as not only the daughter of Levi but also as the wife (and aunt!) of a Levite, serves to highlight the priestly pedigree of both Moses and Aaron. In addition, Jochebed, whose name (Hebrew yôkebed) apparently means “yhwh is glory,” is notable as the first person in the Bible to have a name with the divine element y_h, a shortened form of yhwh.